Fast and easy currency exchanges do not play well with complicated user registration forms where all kinds of unnecessary information change hands – so we simply skipped that part. 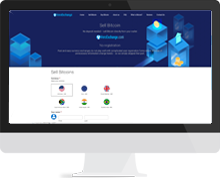 Buy & Sell Bitcoin to PayPal, Credit Card, Debit Card, Prepaid Card, Bank Wire Transfer, SEPA Euro (EUR) bank transfers, Payoneer, Western Union, AdvCash, WebMoney, Perfect Money and Skrill. You can Buy Bitcoins paying with: US Dollars, Euro, Pounds Sterling, Indian Rupee and Brazilian Real. You can get your payment at: US Dollars, Euro, Pounds Sterling, Indian Rupee and Brazilian Real. Bitcoin is Internet Currency. As a currency, bitcoin does not suffer from the limitations of physical "FIAT" currency, and has greater flexibility and security, with the transaction cost far lower than similar solutions. Bitcoin is totally secure and the network has never been breached. 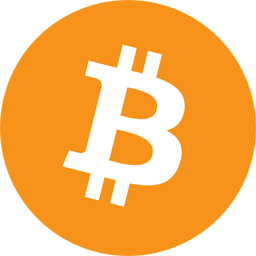 The Bitcoin network was created in 2008 by Satoshi Nakamoto. Our exchange system allows you to buy or sell bitcoin by letting you load funds into your account and transact at your leisure. Please leave a review here after you order. Easy to use and very quick! I definitely recommend to! Always fast and reliable! Have used many times and will continue to. Super easy to use and very quick. I definitely recommend https://www.baybit.io! Always Quick and Trustworthy. I’ve used them multiple times and will continue. Need to implement Bitcoin cash. they are excellent and helpful. absolutely 5 stars. Very quick. Very simple. Couldn’t really ask for more! Wonderful site and my go too. We are available now | Our support will help you 24 hours a day, 7 days a week. We are available now | We are with you 24 hours a day, 7 days a week.